It’s no secret that the Tesla Model S shares a lot of components with other cars, especially when it comes to modules that control various features inside of the cabin. 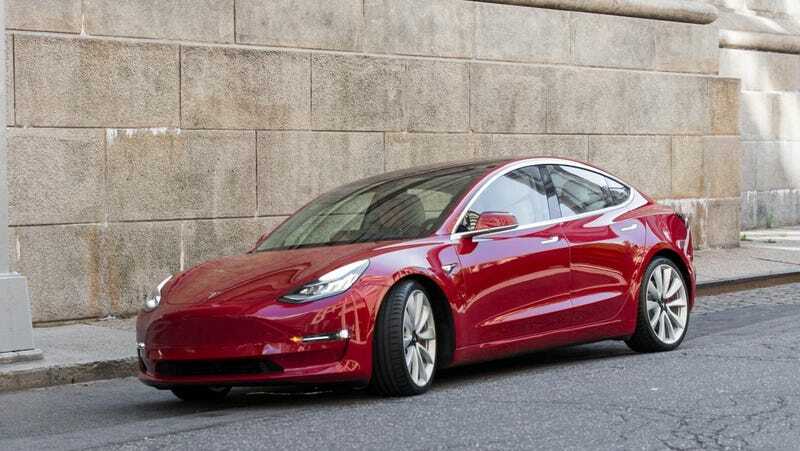 Using parts from cars like the Ford Fusion and the Mercedes E-Class made sense for Tesla’s first mainstream sedan outing as a small but growing manufacturer. Yet one of the questions with the Model 3 was whether Tesla would follow the same pattern or use more in-house components. Now we know more, thanks to a recent set of teardown videos gives us a lot of insight on how the car is put together. The Ingineerix channel on YouTube has started posted videos showing some details of the Model 3 a few months ago and has recently expanded to showing a teardown a salvage car that they acquired. What stands out in this video is how integrated all of the electronics modules are. Most of the body control functions are run by three vehicle controllers, VCFront, which is located behind the frunk and VCLeft and VCRight which are located in the footwells. These modules act as the fuse boxes as well as the body controllers. They contain no fuses but instead rely on MOSFETs and current detectors for fault tolerance. Skipping the fuses is a change over the Model S but the significant improvement comes in the control of various modules and electronics such as the doors, windows, and seats. All that happens through the VC modules in the Model 3 allowing all of these functions to be centrally controlled and monitored. Such functions were done independently on the Model S and usually required additional wiring and programming. One example is the doors which had a complex door handle with various microswitches and a small module mounted on it that connected to a module built by Pektron which was then connected to a Body Control Unit and the MCU. All of these connections require wiring and all of them pose a an opportunity for failure. They also make it more complex to interface with the car to allow control and monitoring from the center screen. In comparison, the Model 3 requires no such modules in the door but from what is shown in the video, the door handles get directly wired to their respective VC module which is then wired to the module that runs the screen in the center stack. This provides for a reduction in wiring as well as better control of the device. These steps show that Tesla didn’t just grab off-the-shelf components like it did with the Model S. In another video, Ingineerix actually takes the VCLeft module apart and shows us the various controllers and drivers that manage things like the door handles, HVAC blower motor, and the 12v charging port and the design of the module seems very straightforward and clear. I asked Ingineerix to confirm the observation and he stated that at least 10 modules that you would find on the Model S have now been condensed into three modules on the Model 3. There are many more teardown videos on the channel showing lots of the details of the Model 3, so if you’re into the details like I am then you should check them out. What we know from this is that Tesla is learning as it grows, and that it’s made a lot more advancements since the Model S and X when it comes to electronics that would be readily apparent on the surface. In this case alone, simplifying the wiring should make for a more reliable car in the long run.